American Queen Steamboat Company has announced an agreement to build a new 245-guest riverboat. 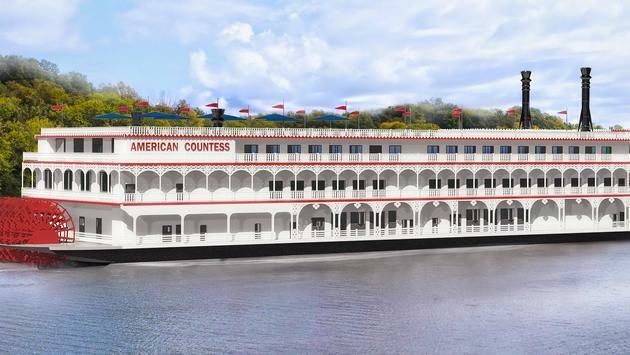 The paddle wheeler, American Countess, will be the fourth in the line’s fleet. She’ll be built using the existing hull of the Kanesville Queen, a gaming vessel built in 1995. Construction will begin in the fourth quarter of 2018 at the Gulf Island shipyard in Houma, LA. American Queen currently operates three riverboats: The American Queen, billed as the largest riverboat in the world; American Duchess and American Empress. Both American Queen and American Duchess ply the iconic rivers of the country’s heartland. Itineraries call at Memphis, Nashville, New Orleans, Cincinnati, Louisville, St. Louis and Minneapolis. The American Empress sails the Pacific Northwest on the Columbia and Snake Rivers between Vancouver, WA. (Portland) and Clarkston, WA. 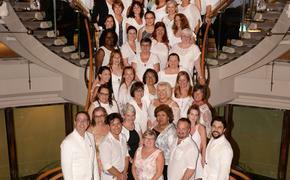 The delivery date, amenities and itineraries for American Countess will be announced at a later date.